Hungary will be able to buy some natural gas in Austria. Budapest and Moscow have agreed on Russian gas supplies for 2020 regardless of Russian-Ukrainian gas transit relationship. 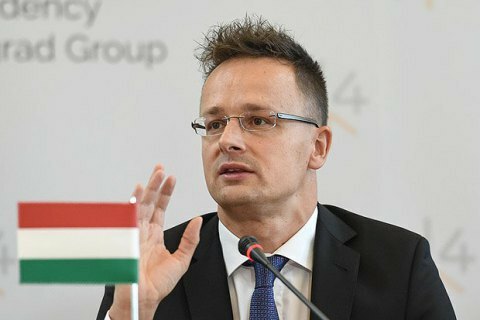 "Hungary’s gas supply will also be assured for next year if no agreement on gas transit comes about between Moscow and Kyiv before the end of this year, in addition to which the planning and cooperation required for assuring a long-term domestic supply has also begun”, Minister of Foreign Affairs and Trade Péter Szijjártó said in a statement to Hungarian news agency MTI on Thursday following talks with CEO of Gazprom Alexei Miller. “Today, the Gazprom CEO and I concluded an agreement on the fact that Gazprom will be assuring Hungary’s natural gas supply irrespective of whether a transit agreement comes about between Russia and Ukraine with relation to the future," he added. The minister explained that Hungary will be able to purchase some of the natural gas required for public and industrial consumption via Austria, as it did this year, in addition to which Hungary’s storage reservoir capacities, which are unique within the Central European region, must also be exploited. The CEO of the Ukrainian national oil and gas company Naftohaz Ukrayiny, Andriy Kobolyev, said earlier today that Gazprom started sending out notifications that it would stop gas transit across as of early 2020.